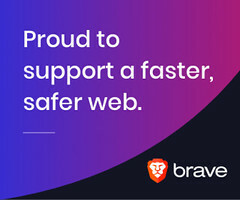 This is a sponsored post from MassMailer – an Admin Hero sponsor. As an email marketer, there are a number of regulations you need to follow — one of the most important of which is the CAN-SPAM Act. Implemented in 2003, the CAN-SPAM Act is a measure that is intended to cut down on unsolicited email marketing. The CAN-SPAM Act sets up rules that businesses need to follow when they’re emailing potential customers. It is intended to make it easier for customers to avoid marketing that they don’t want to receive. While email marketing is a critical part of every business, it has to be handled properly if businesses want to avoid large fines. There are incredibly strict penalties associated with violating the CAN-SPAM Act. If you violate the CAN-SPAM Act, you can expect to see fines of tens of thousands of dollars for each individual instance. Each separate email can carry a penalty of up to $41,484. The CAN-SPAM Act applies to business-to-consumer emails and business-to-business emails. How Can You Be Compliant With the CAN-SPAM Act? Make it easy to unsubscribe from your emails. Not only does an unsubscribe link need to be visible in all of your emails, but unsubscribes should be processed quickly. Avoid sending out emails that have blank bodies. A subject line alone is not enough; you need to at least include some content in your email to make it a valuable email. Don’t misrepresent the information inside of your emails. Your subject line has to align with the content of your email in order to avoid being labeled as deceptive. Clearly mark any “NSFW” content. It’s still allowed to send content that users request even if it is NSFW, but this content does have to be labeled so they can decide to open it before they do. Always use the appropriate sender. The “from” address of your emails should always be appropriate to your business, rather than using a “from” address that could be misleading. Make sure the email is obviously an ad. An email shouldn’t look as though it’s something other than an ad, such as a personal correspondence — this is considered to be misleading. Include identifying information. Your customers should know not only what your business name is, but also where your business is located. Include your physical mailing address or post office address with every email. Can MassMailer Help With CAN-SPAM Compliance? Through MassMailer’s support for Salesforce templates, you can ensure that every email you send out conforms to CAN-SPAM requirements. MassMailer makes it possible to easily manage subscriptions and unsubscribes, track mailing list performance, and send out emails based on user-related interest. Even better, these features are easy to use and can be fully automated. By using MassMailer templates, you can automatically include things such as your company’s address, unsubscribe links, and correct email sender. MassMailer can automatically handle unsubscribes ensuring that customers don’t get emails they don’t want. With MassMailer, you can improve your compliance with CAN-SPAM regulations while also making your emails more user-friendly. 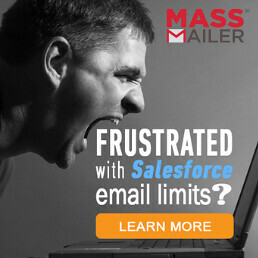 Start a free trial of MassMailer today to see what it can do for you.